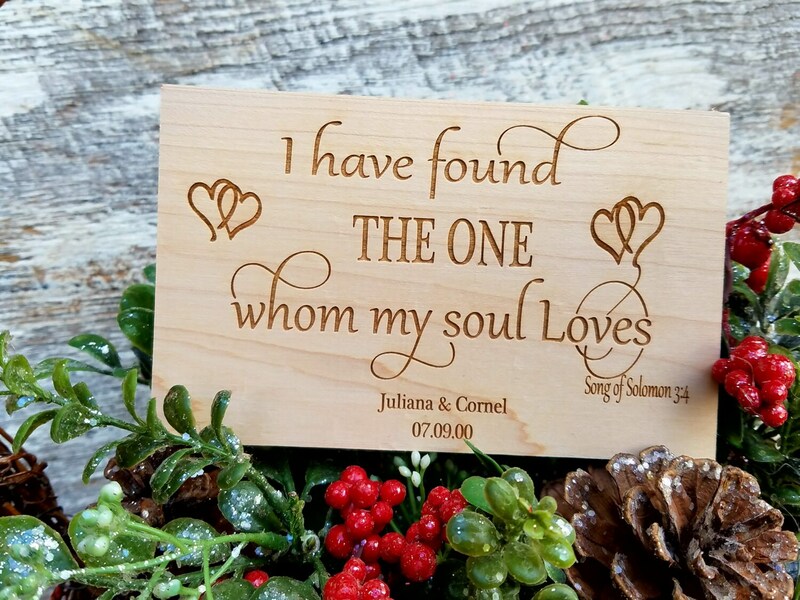 Our beautifully crafted and engraved wood plaque is beautifully crafted and will make a special gift, wedding day, Christmas, birthday or 5th anniversary? Each plaque can be customized as per your request, with a special quote from your wedding that you both treasure. The Bible verse shown is from Songs Of Solomon 3:4 . Want a different verse engraved? No problem just let us know which. If you have a quote that you would like engraved we can do that too. Please choose at checkout if you would prefer it free standing or wall hanging.